Rise of Civilizations is a real-time strategy MMO game from Lilith Games, set within a historical and quasi-Civilizational setting. Players are tasked with taking the helm of a great empire, building cities, armies, and alliances, and defending their cities against their enemies and amassing greater fortunes. You play as one among 8 different civilizations, responsible for building your very own empire. You can choose between Spain, Rome, Germany, France, Britain, China, Japan, or Korea and your choice will be vital to the character of the rest of your playthrough. Each civilization has it’s own starting commander and special characteristics. The characteristics are essentially starting buffs such as greater troop march speed, garrison capacity, action point recover speed etc. 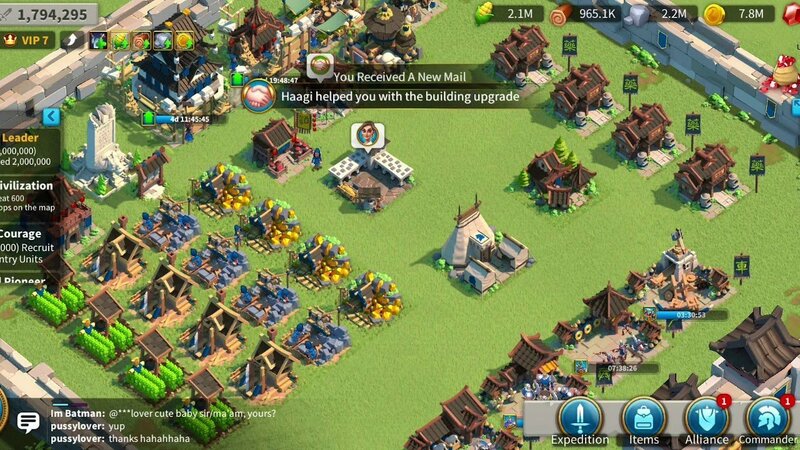 Starting out with a small patch of land, you must, through constructing and upgrading various buildings and structures as well as training troops and buildings weapons, grow your empire. The numerous buildings in Rise of Civilizations can be classified into 4 types: Economic, Military, Decorative and Others. Economic buildings include structures like farms, gold mines, lumber mills, storehouses, and military buildings include structures like barracks, archery ranges, stables, hospitals, and siege workshops. The Others category includes the all-important City Hall which serves as the core of your city. Upgrading your city hall unlocks new buildings for construction and many buildings themselves need to be constructed to further upgrade your city hall leading to a virtuous cycle. This category also includes protective city walls and the watchtower. In typical F2P fashion, you will encounter wait times for upgrades, research, training etc. You can always use speed up cards to bypass the wait times. The wait times seem to increase as you level up as well, making any unused speed up cards relatively useless after a certain point which makes hoarding them an unwise strategy. You can get speed cards either through grinding through the game but alternatively, you can then use gems. You can of course pay for gems but you can also get access to them by doing the daily missions, upgrading city hall, defeating Barbarians. 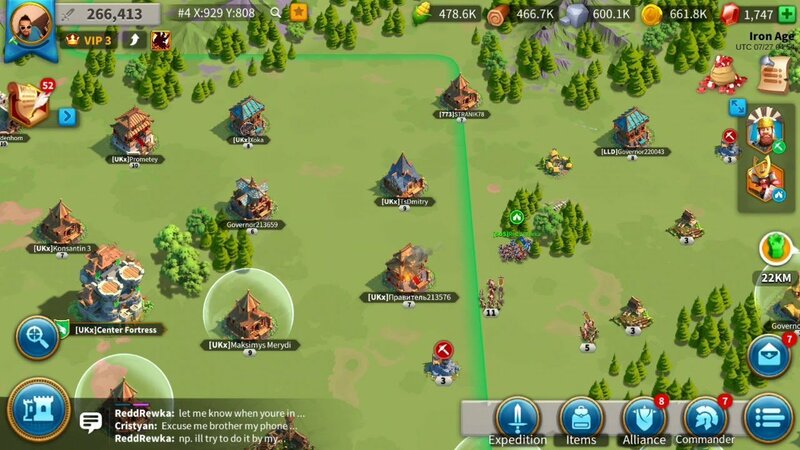 If you build an Academy you can research the Jewelry feature which will enable you to mine gems on the map itself, though the number of gems you receive from mining will be quite modest. One of the special features of Rise of Civilizations is the Commanders. Commanders are historical figures that you can choose to be leaders of your army in a fashion similar to the Civilization games. You can choose between Julius Caesar, Joan of Arc, Sun Tzu, Richard I, Scipio Africanus, among others. 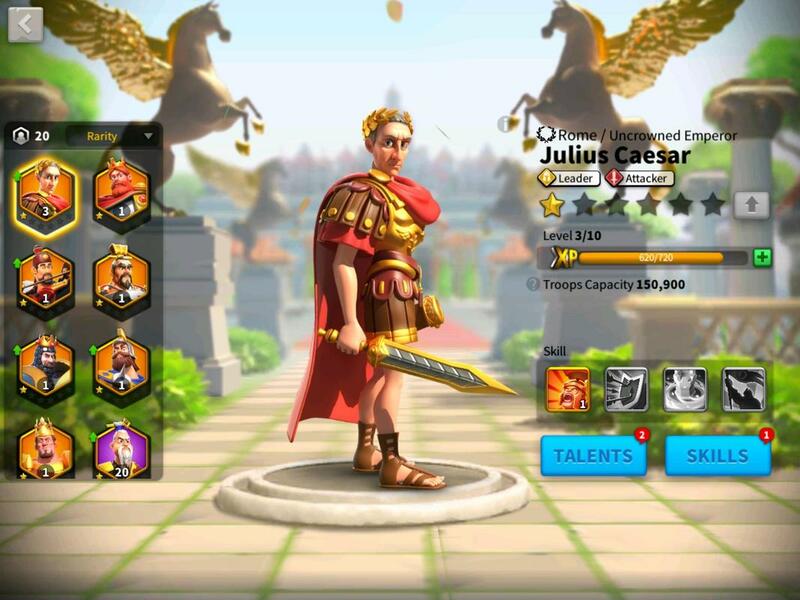 Each commander has 3 specialties that determine the talent trees as well as 4 skills which are unlocked according to the commander’s star level. Epic and Legendary commanders have access to an additional 5th skill. You don’t necessarily have to be picky with your commanders as you can have many of them as they are necessary to fight on multiple fronts. All this so far concerns only you and your interactions with your own city, but that’s far from what Rise of Civilizations has to offer. In fact, if you zoom out from your little city you’ll discover an impossibly huge game world. The impossibly massive world map is one of the unique draws of Rise of Civilizations. The city you start out with is nothing but a small speck in comparison to the vast region you have yet to explore, which itself just one of nine regions. The regions are separated by mountain ranges and you need to send out scouts to find pathways to travel to other regions. Due to Rise of Civilizations’ massive scale, the game’s alliance system is something players must take part in to make any significant progress. The alliance system has many similarities to the way you handle diplomacy in the Civilization game series, something many players may be familiar with. An alliance serves as a guild system, a staple of games in this genre. Alliance members can send help to each other to complete building upgrades and research, construct new buildings, get help in battles or wars and training projects. One of the most useful features of the alliance feature is the special research tree that is unlocked and that you are given access to. There are three categories available for research: War, Territory, and Development. Research in this tree is a joint effort undertaken by all members of the alliance, the rewards and benefits similarly accrue to all. Alliance members can choose to send resources for research purposes and the more resources that are at the disposal for Alliance research, and the greater the number of contributions by different alliance members, the faster the research is completed. One of the disappointing aspects of the game is the relatively plain art design. It is, of course, expected that a game of this scope will reuse assets quite heavily but there is general drabness to the art that can only be so far overcome with a slick UI design. Playing the game on the Bluestacks emulator does help quite a bit with the tendency of the screen to clutter up and for you to press on the wrong building accidentally. Rise of Civilizations is a great new addition to the MMO Real Time Strategy genre. It has great gameplay, opportunities to interact with fellow players and build fruitful social interactions and a massive world map that you could potentially spend forever unmasking. You can have a lot of fun engaging in the PVP or PVE, building up your empire and joining up in alliance to take on others. 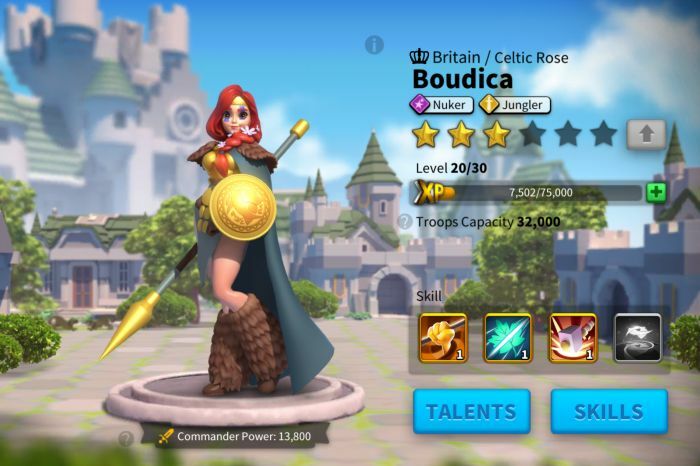 Rise of Civilizations is available to download for free on iOS and Android devices through the App Store and Google Play, respectively. You can also play it on the Bluestacks emulator, which will enable you to play it on your personal computer. Rise of Civilizations is a game that really benefits from a larger screen and mouse control. Simply head on over here to download and install it on Bluestacks.